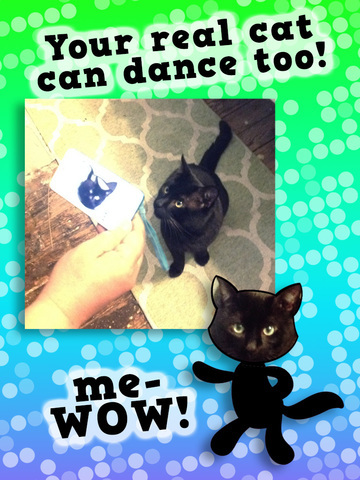 This amazing new app features cool cats that you can move around and tap to change dance routines. Disco Cats dance wherever you point the camera- so they can dance on the wall, outside, or kids can even create a dance stage from toys to watch these cats dance all night. Flip through several cool tunes in the app and turn on different party lights, like a disco ball, colored spotlights and more! 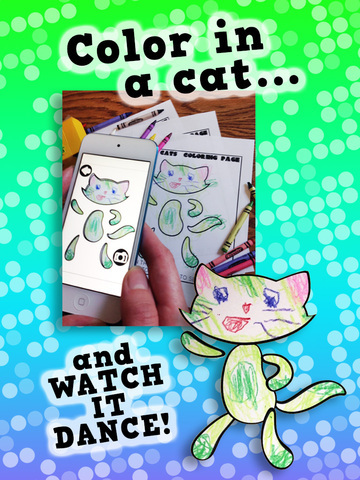 Disco Cats also has a coloring book page so kids can design their own custom dancing cats. 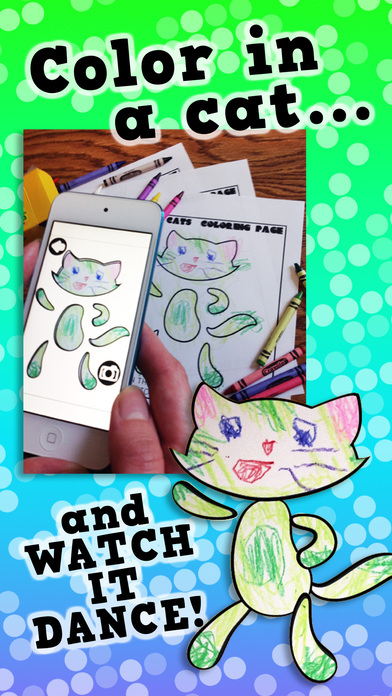 Print out the page, color it in, take a snapshot using the app and their custom kitty will be grooving along in no time! For one more big dose of fun, your real life cat can transform into a dancing star too! Just take a photo of your cat from within the app, line up their face to the guide and Fluffy is ready to dance all night. 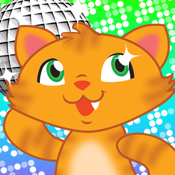 Kids will love to boogie down with these hip Disco Cats- download today! This app uses the Camera.